THE CONGREGATIONAL CHURCH OF SOUTH HEMPSTEAD is a member congregation of the United Church of Christ, a protestant denomination of over one million people. Our primary communication with our denomination occurs through our congregation's active membership in the Metropolitan Association of the United Church of Christ. The Reverend Doctor Patrick Garnet Duggan is a native New Yorker, the son of a Jamaican cabinet maker and a New York attorney. A graduate of New York City schools, he attended Harvard University earning the Bachelor of Arts degree in 1980. In 1993, he earned the Master of Divinity degree from the New York Theological Seminary. In May 0f 2013, Rev. Dr. Duggan earned the Doctor of Ministry from NYTS through completion of his demonstration project, "Ground Zero in the Economy of God". In October 2012 Dr. Duggan was called to serve at the national setting of the United Church of Christ (UCC) and named Executive Director of the UCC Church Building and Loan Fund (CB&LF). CB&LF offers consulting, financing, training and capital campaign services for the purchase, construction or renovation of church buildings, meeting houses, parsonages/rectories, and other facilities used by churches of the United Church of Christ or by any Christian church without limitation to sect, denomination or name. 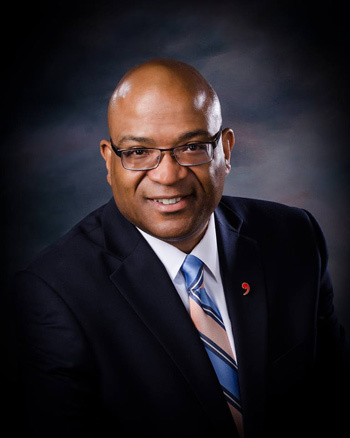 In selecting him for this position, the United Church of Christ charged Dr. Duggan to expand upon CB&LF's tradition of leveraging assets for tangible, public, measurable impact in the advancement of the mission and ministry of the church. Dr. Duggan was licensed to the Christian Ministry at the Solid Rock Baptist Church, Jamaica Queens in 1986, and ordained there in 1989. 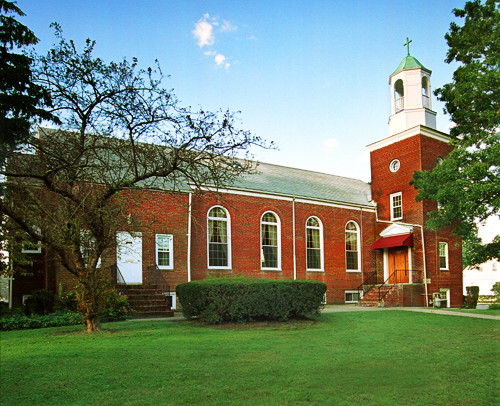 Shortly after receiving the Privilege of Call with the United Church of Christ in 1995, the Congregational Church of South Hempstead/UCC called him to serve as Senior Pastor. The fruits of his ministry with this thriving congregation include the enlarging of mission, ministry and membership, over $280,000 in renovations of the church facilities, a vision plan to guide the church to its 100th anniversary in 2043, and assisting six ministerial candidates to complete the ordination process in the United Church of Christ. In 1999, Dr. Duggan founded a church affiliated community development corporation, Abundant Communities Together, which has served over 900 faith leaders from some 50 denominations to explore faith-based development initiatives in sustainable agriculture, conservation/renewable energy and faith-based social enterprise. Dr. Duggan has amassed nearly two decades of economic and community development expertise through his work in government and the public sector on Long Island. From 2004 to 2009, Dr. Duggan served as Nassau Deputy County Executive for Economic Development. Under his leadership, the County constructed or rehabilitated over 2000 units of housing, secured the County�s first Empire Zone, facilitated over $1.3 billion in new investment and created over 5700 jobs. From 1998 to 2004 he was the first Executive Director of Sustainable Long Island where he led visioning processes with over 3000 Long Islanders in six communities. The resulting vision plans have led to almost $600 million of investment in the region�s poorest communities. Among the numerous awards and distinctions he has received, Dr. Duggan is most proud of his time as a Group XIII Kellogg Fellow when he toured community development initiatives across the United States and economic development NGOs in South America, the Caribbean, and Africa. For his work in ministry and community economic development, in 2003 Dr. Duggan received the highest honor bestowed annually upon one New York Theological Seminary alumnus/a, the Sower Award for Distinction in Ministry. Married since 1982 to Patricia Phillips, an educator, the Duggan family includes two adult sons, Jameson and Christopher, an adolescent son, Aaron, and four grandchildren, Makeda, Malik, Maki and Ava. The Board of Deacons is comprised of men and women, who have been selected to be servant-ministers of the church. The Deacons oversee the worship activities of the church, including the music and choirs, assist in administering communion and organize special worship services. Each Deacon is responsible for the care of a specific group of members within the congregation. They are committed to visit and serve communion to those who are sick, in the hospital or at home. They also assist member families in emergencies. The Board of Trustees is responsible for the management and maintenance of all church property and the oversight of the business, financial and property affairs of the church including management of the annual budget and the management of church employee affairs. Trustees act as legal agents of the church in contractual arrangements and serve with diligence in the financial stewardship of the church resources. The Board of Christian Education oversees Sunday School, special seminars, classes, all youth programs and the Rites of Passage program for adolescents. The Board of Missions and Stewardship is responsible for managing the annual stewardship drive where members pledge their giving amounts. They also manage donation of food for needy families and support several worthy causes. The Men's Fellowship encourages the development of strong relationships among the men of the church. They support men in their Christian walk and development toward spiritual maturity. Their goal is to inspire, equip, and mobilize men for vital, passionate, Christ-centered living in the home, church and community. The mission of the Women's Fellowship is to enlist all women of the church into a fellowship of worship, education and service. We strive to cultivate the spirit of Christ and to this end, all women of the church are members of the Women's Fellowship. The Youth Empowered Servants Ministry (YES!) endeavors to let the youth of the church and community know that they matter, and to provide them with a space where they are welcomed, heard, and accepted into a spiritual family. We provide fun programs, activities and events that allow the youth to express their faith through their own words and actions. We encourage them to use their individual talents in programs and ministries that interest them in order to nurture their growth as people of faith. The mission of the Music Ministry is to magnify and glorify God using their musical gifts and talents to encourage worshippers to see and hear the message of the scriptures. The music ministry consists of the Chancel Choir, Inspirational Choir, Men�s Chorus, Kingdom Kidz Youth Choir and the Praise and Worship Team. Special choirs are organized for various yearly events and concerts. The choirs sing a variety of music including anthems, traditional and contemporary gospel music. The Tehillah Dance Ministry brings people into the body of Christ through movement. We create and promote an atmosphere of praise and worship through dance and through the art of biblical story telling in dance. The mission of the Circle of Compassion is to respond to God�s call by living a ministry of intercessory prayer, promoting the spiritual health and prayer life of God�s people and sharing God�s love and grace in practical ways to those in need. The Communications Ministry's goal is to reach the congregation and community through media in order to inspire, inform and invite participation in the life of the church. The mission of the Can-Cer-Vive Ministry is to promote cancer awareness, offer support, education and information about this dreadful disease to anyone who is a survivor of any type of cancer, including caregivers, family members and friends. The Dorcas Ministry mission is to extend the love of Jesus Christ by caring for God's creation. We welcome strangers, feed the hungry, clothe the needy and encourage the brokenhearted. A community of motivated and enthusiastic young adults (ages 18-35) striving to reach and uplift our peers by conferencing, through service and brotherly love. Our mission is to love, serve, grow and develop together while sharing God�s Abundance.